A 750 mounted on a looped Strap is shown. 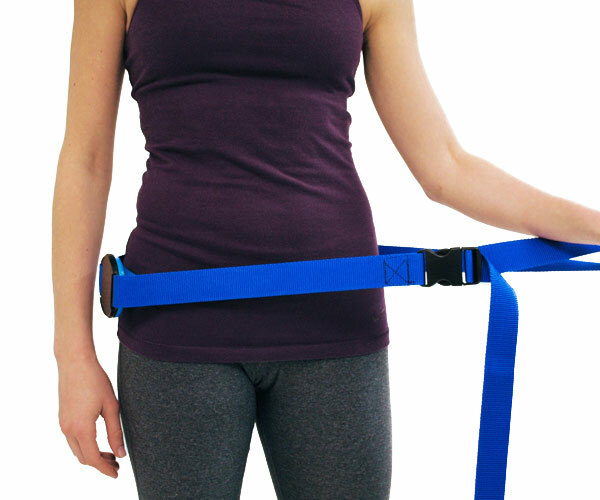 With the Strap, you can address your your hips hands-free in a standing posture and use your legs, or manipulate the Strap, to increase pressure. 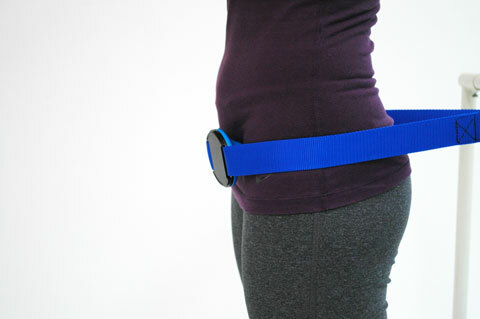 Loop your Strap around your waist and then a suitable anchor point. Avoid stepping into a closed, anchored Strap. Take up the slack in the loop. Turn side-on to the anchor to position your TolaPoint over your lateral hip. With your legs apart, lean gently away from the anchor to engage your Point. Relax your hips. Lean away from the anchor and let your body weight create the required pressure. For more pressure, push away from the anchor with your legs, or squeeze the loop of the Strap closed with your hand. To exit, first release your Strap from it's anchor point and open it. Avoid stepping out of a close, anchored Strap. Turn away from the anchor to address your anterior hip.